This is the second article in a three-part series on the connections between Rio de Janeiro’s favelas and Maputo’s caniços, focusing on history, land regularization, and culture. 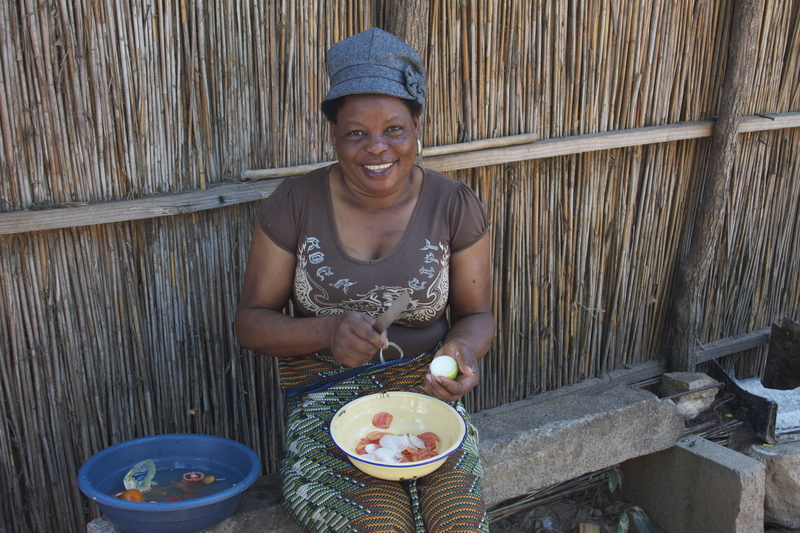 In Maputo, the capital of Mozambique, 80% of the population lives in informal settlements that are also known by their historical name, caniços, as the first article in this series explained. It is possible to trace various parallels between Rio de Janeiro’s favelas and Maputo’s caniços, including the challenge of land regularization. In Mozambique, all land belongs to the State—as a legacy of the country’s socialist administration—and it is not allowed to be commercialized. 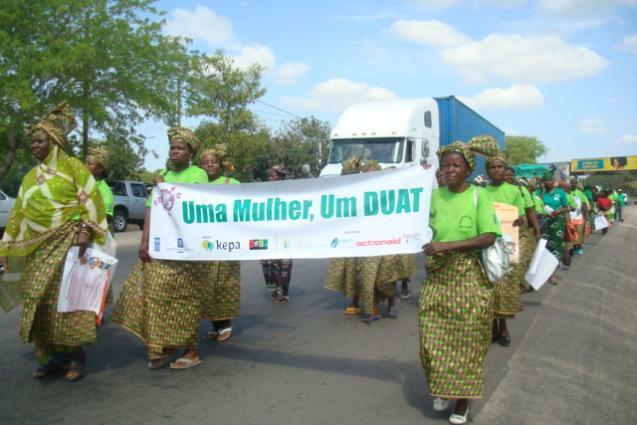 The government grants a Land Use Right (DUAT), similar to concession of use rights in Rio, and, also similarly, only about 10% of Mozambican homes have this legal documentation, due to a lack of information and to the time, investment, and bureaucracy necessary to obtain it. In practice, however, the value of land becomes built into the sale price of the building constructed on it. Land ownership is mainly guaranteed verbally, with neighbors as witnesses. Oral testimony has legal value in resolving disputes over land, but provides no further guarantees. The vast majority of the population does not have access to housing loans to build or renovate their homes, since they cannot use their land as collateral or cannot provide proof of a fixed address. Moreover, this lack of documentation makes them more vulnerable to evictions, as in cases when large enterprises receive land occupied by caniços from the government, in view of the capital the companies are going to inject into the economy, or even as an exchange of favors. Similarly, in Rio one could argue that the lack of land titles means it is difficult to access credit and employment, in addition to leaving residents vulnerable to evictions. In Rio, however, land titling may mean the integration of one’s residence into the formal real estate market, which can translate into increased tax collection and cost of living for the entire neighborhood, and consequently, gentrification. Meanwhile, in Mozambique, the State’s ownership of the land guarantees a tax exemption for land used for housing or agricultural purposes. However, this is used as an argument for low tax collection, which is in turn used to justify the State’s low capacity to provide public services—and the lack of infrastructure is still a hallmark feature of the city’s caniços. In both scenarios, land regularization brings with it the risk of gentrification. Even given the prohibition of the commercialization of the land, the value of the land and its location end up being built into the value of the property, and prices may become too high for the original inhabitants. In addition to the risk posed by possible land regularization, gentrification is already a real threat as a result of requalification programs launched by the Mozambican government, which rely on private capital and, consequently, its interests. In the neighborhood of Polana Caniço A, the existing requalification program aims to strengthen local basic services (such as the construction of drainage ditches, paving of access roads, recuperation of public spaces, collection of garbage), which is a real need of current residents, but also plans for the construction of 30,000 middle-class apartments, which could trigger gentrification. The lowest income current residents are often enticed to leave their homes to make room for such real estate ventures. Some have already expressed their longing for the old community dynamics of the neighborhood, where everyone knew each other and greeted each other, reinforcing not only the feeling of camaraderie but also of security—a feeling also commonly reported by residents in Rio’s favelas. Today the Maputo neighborhood of Polana Caniço A has experienced an increase in crime, especially in home burglaries. To cope with this gentrifying force, there is a private pilot project for urban requalification that proposes to construct two new terraced houses in place of each precariously structured house. In exchange for the concession of the land and a small contribution, the family that lived there originally receives a new house, while the second house is sold to middle-class families who are attracted to the neighborhood because of its proximity to the city center, as a way of financing the project. The whole project is aligned with the municipal plan for the area, which called for increasing the density of the neighborhood, which today has a low population density. 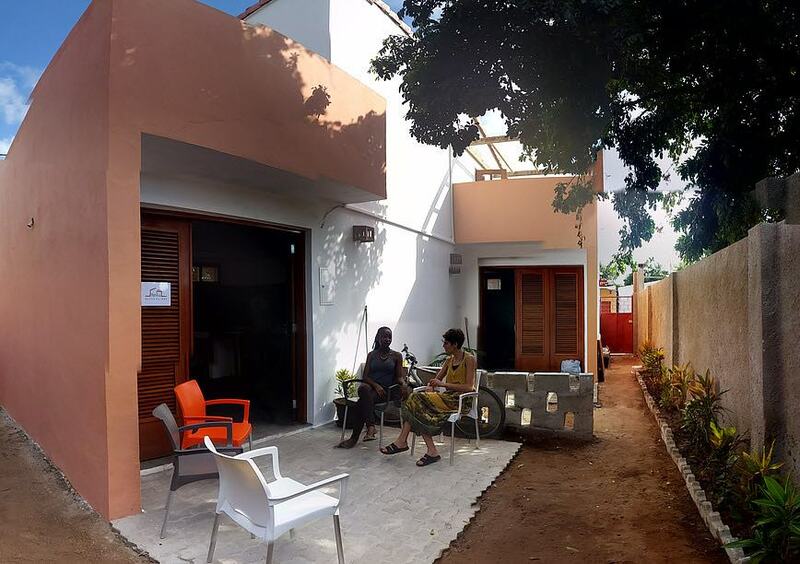 Called Casa Minha Nosso Bairro (My House Our Neighborhood), the project name alludes to Brazil’s federal public housing program Minha Casa Minha Vida (My House My Life). Unlike the Brazilian program, however, it’s a private initiative that needs to be profitable, although it contains social principles. Similar to the construction on rooftops and of housing extensions in Rio, the project foresees the organic growth of families and allows for the possibility of incremental construction: the balconies can be transformed into two new rooms, and a new floor can be built on the first or the second, but all done with technical assistance and good quality building material. 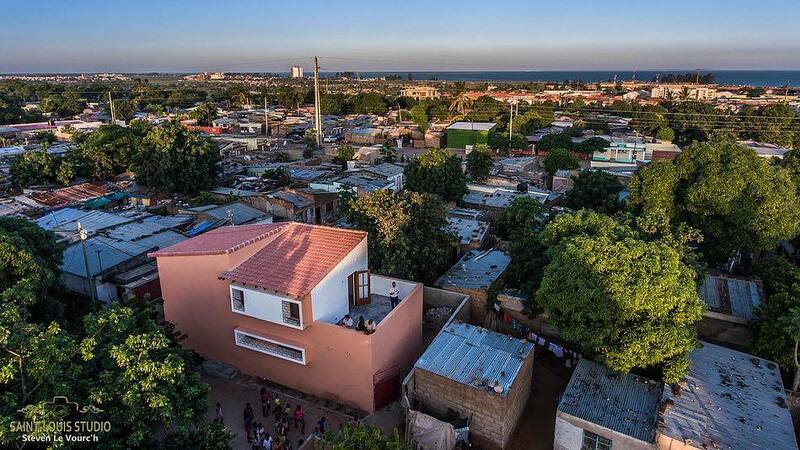 The logic of this expansion of a residence in response to the growth of the family is built into the logic of self-construction that prevails in these spaces, both in Rio and Maputo, where contractors are not hired but, instead, relatives and neighbors are often involved. “Self-construction is not precarious, it’s opportunity,” said Alfonso Cabrillo, who founded the project with his brother, Federico. That is, if done with the appropriate technical assistance, this approach is a form of solution: it reduces costs and brings the benefits of participation and development according to the needs of the resident, in addition to involvement in the process and a commitment to the final result, contributing to its sustainability. In Rio, the logic of self-construction has been adopted in housing programs, most recently in the case of Minha Casa Minha Vida – Entidades. Based on his research, Cabrillo attributes the difficulties of implementing and maintaining housing programs to the decentralization of planning: “In Brazil the issue of housing is controlled by central government, mobility is largely controlled by the state, and urbanism by the municipality. There is therefore a huge coordination problem.” He therefore advocates for a unique model that addresses the different problems of a given neighborhood in an integrated way, rather than fragmented across several programs. This article was written by Luisa Fenizola, and published on October 20, 2017.